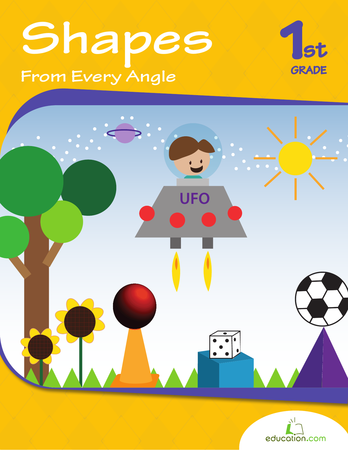 Geometry isn't so scary when it comes with colorful designs and easy-to-interpret illustrations! In order to take on algebra later on, your student will first need to conquer basic geometry. 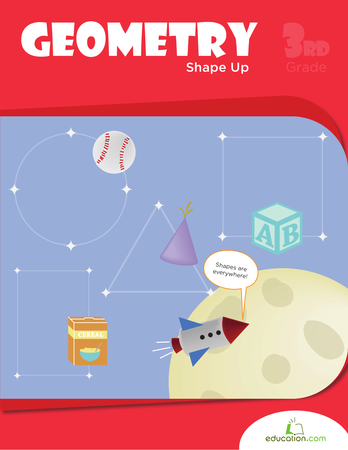 Get in shape for geometry! From 2D to 3D, polygons to prisms, your child will soon be a shape master. After a review of important terms and concepts, he will practice identifying real world shapes.